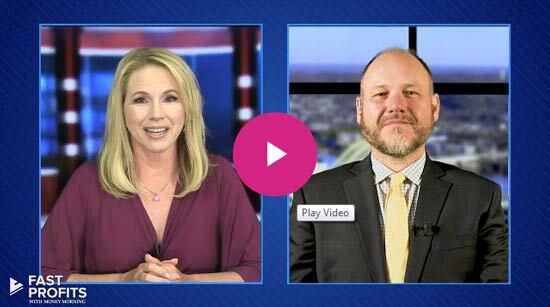 An Apple stock price prediction of $200 might seem high compared to the analyst consensus of $121.95, but not to Money Morning Chief Investment Strategist Keith Fitz-Gerald. "I think the whiners are out in left field," Fitz-Gerald said on the FOX Business program "Varney & Co." in a July 27 appearance. "They say Apple's got too much cash, Apple doesn't understand its products. I think Apple understands exactly what it's doing and they know exactly where they're going." Fitz-Gerald's Apple stock price prediction puts AAPL at $200 within the next few years, a call he first made in April of last year. Given what the Apple stock price has been doing over the past year, that forecast may seem far-fetched. Even with a post-earnings pop of 7%, Apple Inc. (Nasdaq: AAPL) shares are flat in 2016 and down about 20% since closing at $132.07 on July 20 of last year. Apple's Q3 earnings, which it reported July 26, beat expectations even though profits were down 27% year over year as a result of slumping iPhone sales. Investors also took heart in Apple's raised guidance for the current quarter as well as a strong showing in the company's services revenue – up 19% from the same quarter a year ago. Services include Apple Pay, the iTunes Store, Apple Music, and iCloud. 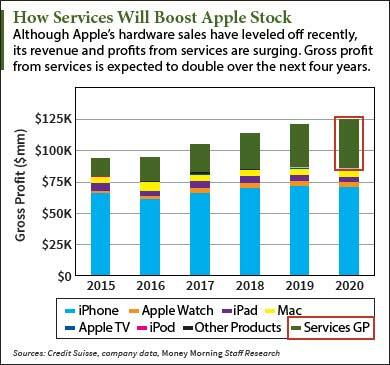 The marked growth in services is why Fitz-Gerald has such a bullish AAPL stock price prediction. It's a trend he sees as a key Apple strength going forward. "Services are where it's at. You've got a billion-something devices out there. That's the point," Fitz-Gerald told program host Stuart Varney. "Everybody thinks about Apple as a device company. It hasn't been a device company for five years…. It's all about what's going to take the ecosphere forward. Apple is going to be an enabler. It's no longer going to be the end game as it was under [late Apple CEO Steve] Jobs." It's a compelling case for AAPL stock. For much of the past year Wall Street has done a lot of hand-wringing over flattening iPhone sales and the lack of a new blockbuster Apple device to drive growth. But that obsession with hardware drew attention away from Apple's services growth story. The services segment is already Apple's second-biggest revenue generator. In a research note earlier this year, Credit Suisse analyst Kulbinder Garcha dug into Apple's services business. Apple's gross profit from services already has grown tremendously, from $3.2 billion in 2010 to $14.5 billion this year. That's a compound annual growth rate (CAGR) of 28.64%. In his note, Garcha projected out to the year 2020. He sees Apple's services segment generating $33.7 billion in gross profits. Not only is that more than twice what services will generate this year, but by 2020 it will represent 29% of Apple's gross income, up from 15% now. That means by 2020 Apple will be less reliant on iPhone profits, which account for almost two-thirds of the company's profits today. That's why slowing iPhone sales have been such a concern. A better balance, especially from a steady revenue generator like services, is just what Apple needs. Another major benefit from a strong and growing services business is fatter profit margins. In its most recent quarter, Apple posted gross margins of 38%, down from 39.7% in the year-ago quarter because of the success of the lower-cost iPhone SE. But Garcha estimates Apple's gross margins on services, now about 68%, will reach 70% by 2020. That will help keep Apple's overall gross margin at 40% or above as the margins on its hardware businesses shrink. Based on Garcha's projections, and accounting for the ongoing share buyback program, Apple's services segment will add about $3.85 a share to the company's earnings by 2020. With a price-to-earnings ratio of about 12, that should add $46.20 a share to the AAPL stock price just from services – a 44% gain. Taking Apple's other businesses into account, Garcha's projections lead to a 2020 Apple stock price target of about $171 – not all that far from Fitz-Gerald's target of $200. And those projections don't account for other gains Apple is likely to make, either with its existing businesses, further expansion into growth markets like India, or adding completely new products and services. Over four years, such catalysts should be more than enough to justify an Apple stock price prediction of $200. "Tim Cook says Apple is a data-driven company and I've got to go with the CEO on this one," Fitz-Gerald said. "They're generating billions of dollars from apps and billions of dollars from service contracts. That's where the future is."